This site will take you places! It’s always a pleasure working with a company that thinks like you do – and that’s exactly what we got with NTT Suzuki. 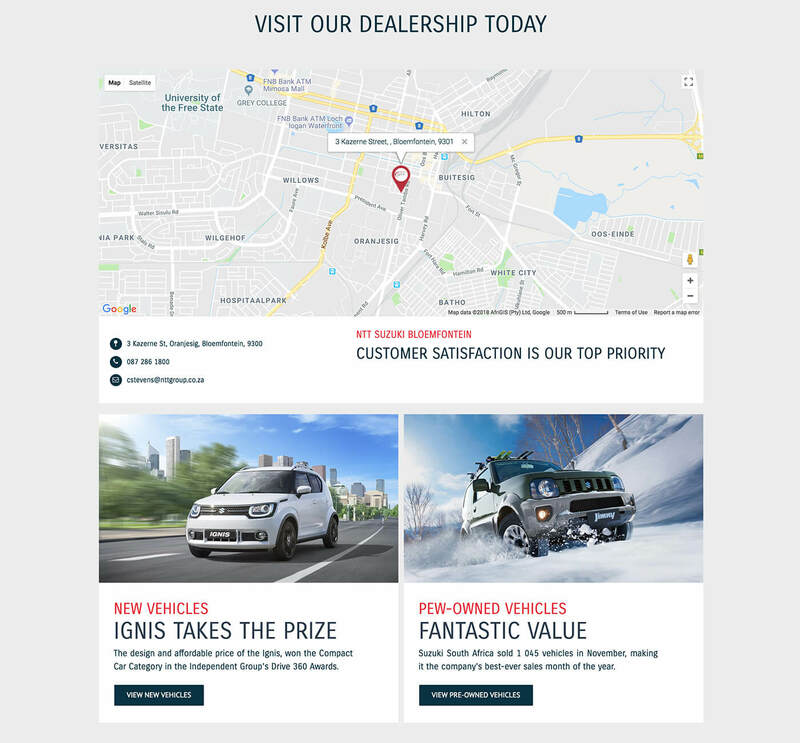 Their approach to both their website and their corporate identity is simple: individuality and excitement trump strict rules and regulations. Their philosophy mirrored ours, and gave us the freedom to design a website in keeping with their bold, adventurous, energetic spirit. It also helped us step outside traditional approval and feedback processes to do our best work fast. 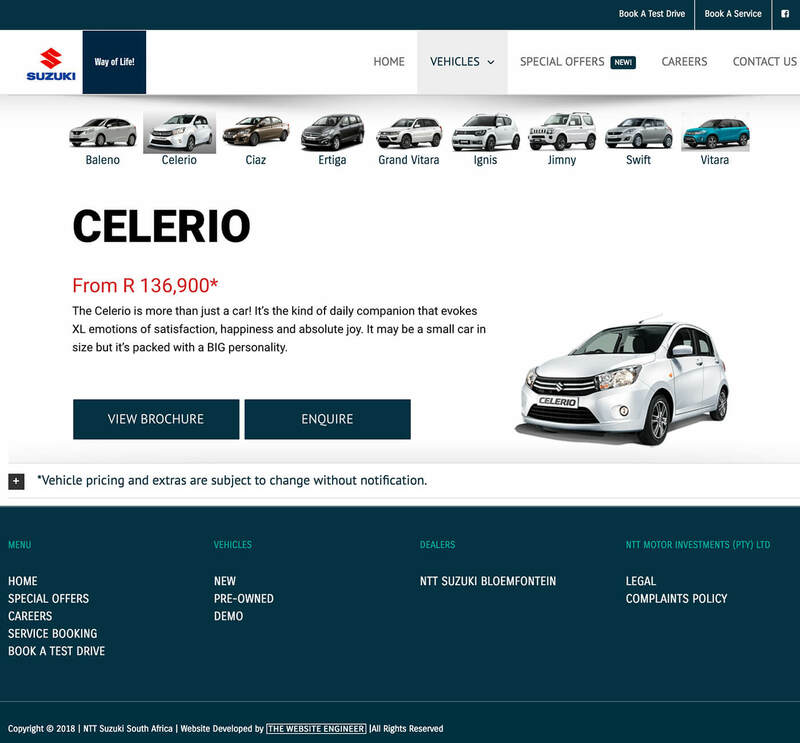 Because NTT Suzuki sells a variety of vehicles, one of their key needs is to have their website always up to date with the latest information and specifications for all of their vehicles. It was something we knew should be automated, so we started thinking outside the box. 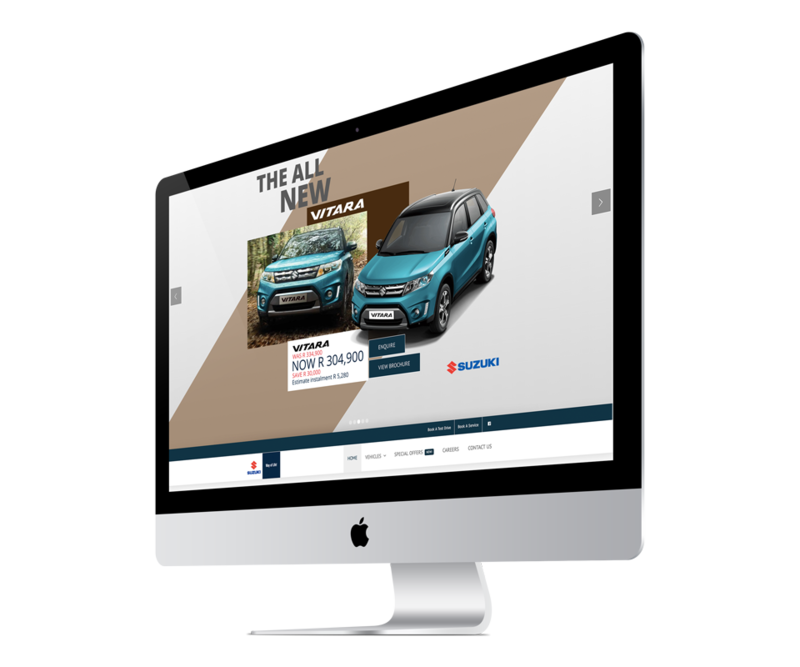 Due to a prior relationship with a related client – the NTT Motor Group – we were able to integrate Suzuki’s new website with NTT’s vehicle database – a vast trove of information about a huge variety of vehicles. 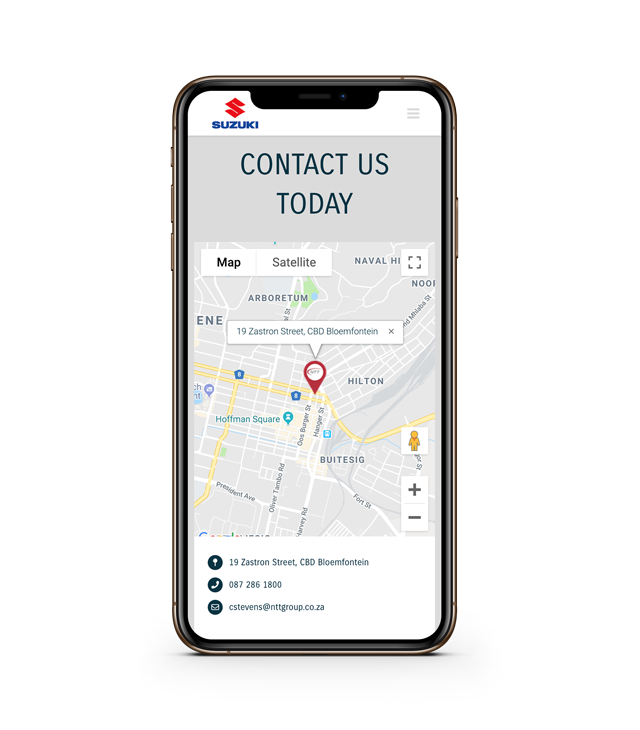 The result is that 100% of the vehicle data Suzuki needs is automatically called from this database and updated automatically on their website – saving hundreds of man-hours every year in manual data entry. 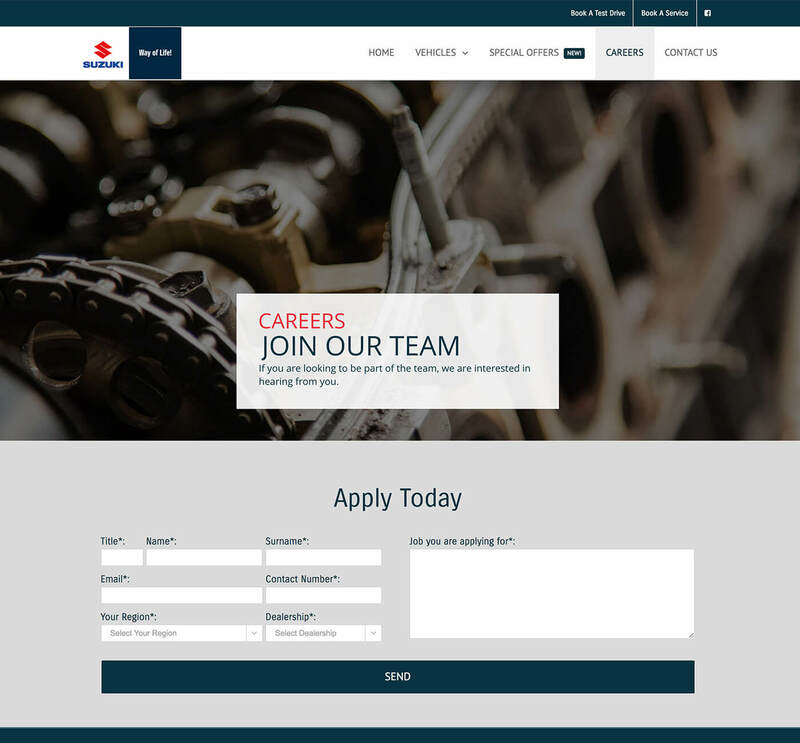 NTT Suzuki was a client that took full advantage of The Website Engineer’s wide range of digital services – from our website building and design expertise (which is what we’re best known for) to custom software development and database integration. Best of all, we were able to find a solution for them that surpassed all expectations.